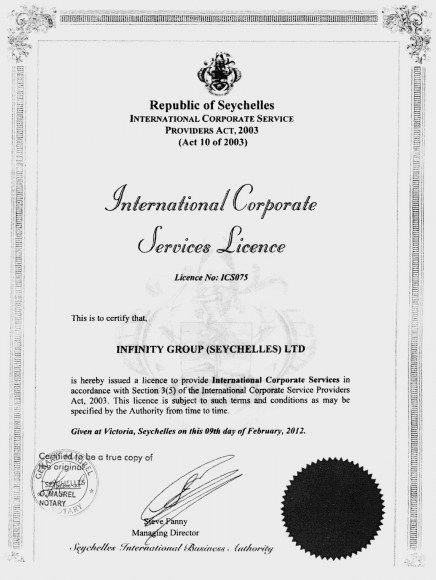 Infinity Group - International Corporate Service Provider. The Licence is issued to provide International Corporate Services in accordance with Section 3(5) of the International Corporate Service Providers Act, 2003. This Licence is subject to such terms and conditions as may be specified by the Authority from time to time. Given at Victoria, Seychelles on the 9th of February, 2012.